Being cool is always in style. 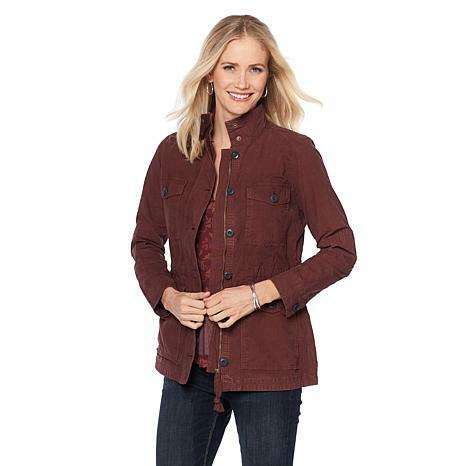 If there is one season-to-season staple you've got to have in your wardrobe, it's this classic cargo jacket from Lucky Brand. Crafted out of soft cotton with a standing neckguard and plenty of pockets, it adds edgy functionality to your sleek everyday look. I love this Jacket, I did size up on it, since reviews said the arms were tight. I'm so glad that I did size up on it because, now I can wear heavy shirt's or sweater's under it with comfort. Great price too!!! Thanks HSN! 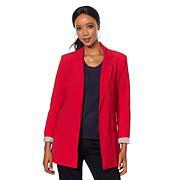 Product was really nice- would have loved to keep it but it was way too small. 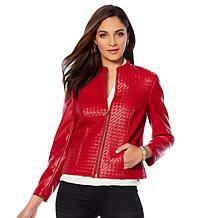 Its a nice jacket and I love the Lucky brand but the sleeves are too narrow.